When you think of altruism and the care for each other termites may not be the first to pop up in your mind.. But termites are actually very mindful of the colony and will do some wild things to protect it. The standard definition of Altruism is “a social behaviour counts as altruistic if it reduces the fitness of the organism performing the behaviour, but boosts the fitness of others. This was the definition used by Hamilton (1964)“. This is common behaviour in any complex social insect colony, bees and wasps fighting till death for their colonies, ants caring by any means for their queen and the brood. Termites do all these things, but they also show some quite extraordinary altruistic behaviours. Suicidal sacrifice sounds like Kamikaze soldiers in World War II, but this also appears in termite colonies. Through an array of different means termites explode and kill the enemies. Neocapritermes taracua, a termite found in French Guinea (see video below) posses a complex defence mechanism. The workers develop sacks containing blue copper crystals. When the crystals mix with salivary excretions they become highly toxic to termites. As a worker termite grows older the copper crystal concentration increases. This makes them more lethal to intruders. The pouches containing the blue crystals are located close to the salivary glands. Under attack, enemies bite the pouches, which then rupture and crystals mix with the saliva. This results in a blue and toxic liquid spraying all over the attacker. Altruistic termites also use what may appear as glue to constrain enemies. Globitermes sulphureus have a gland within the abdomen and thorax containing a yellow and sticky liquid. The soldier can control this gland and shoot out the yellow “glue” on the enemy. The study “Suicidal defensive behaviour by frontal gland dehiscence in Globitermes sulphureus Haviland soldiers (Isoptera)” by C. Bordereau, A. Robert, V. Van Tuyen and A. Peppuy, shows evidence that the soldier not always dies by expelling the liquid, but many do. Globitermes sulphureus – Altruistic termites, soldiers, filled with a yellow glue like substance. 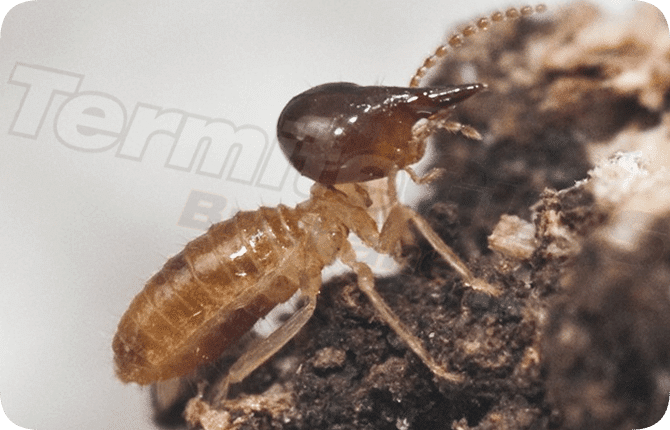 A study was conducted on the drywood termite Pterotermes occidentis (Kalotermitidae), indigenous to the Sonoran desert of the southwest USA and their behaviour when single foreign individual termites were introduced to the colonies. The study showed some truly interesting results. As most termites show fierce aggression towards intruders this was expected in this case too, but the intruders were warmly welcomed. 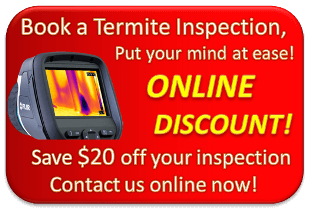 This type of drywood termite is a very primitive type of termite. They do not have distinct casts, and the hypothesis the researchers had for this behaviour was that due to the small size of the colony – any loss of it may be detrimental, hence why rather than fighting for their survival and risking loss of totipotent workers, (who may inherit breeding status), it is better to adopt and welcome the intruder. Sometimes termites join the enemy to save their own colony. This may sound very odd, but as some termites are totipotent, which means that worker termites can become breeding queens or kings, they are much more likely to spread their own genes in an already strong colony than starting a new one from scratch. This behaviour may also be contributing to the enemy colony, as the merging protects them from inbreeding.